One of the biggest tragedies in American history took place on September 11, 2001. Four planes were hijacked by members of the Islamic terrorist group, al-Qaeda. Two of those aircrafts crashed into the two World Trade Centers in New York City, one into the Pentagon, and the last into a field in Pennsylvania. Nearly 3000 people were killed in this attack, with over 6000 injured. It was a circumstance that ultimately shaped the country we know now. Nike recently stirred up controversy when they released their 30th anniversary “Just Do It” campaign featuring former 49ers quarterback Colin Kaepernick. 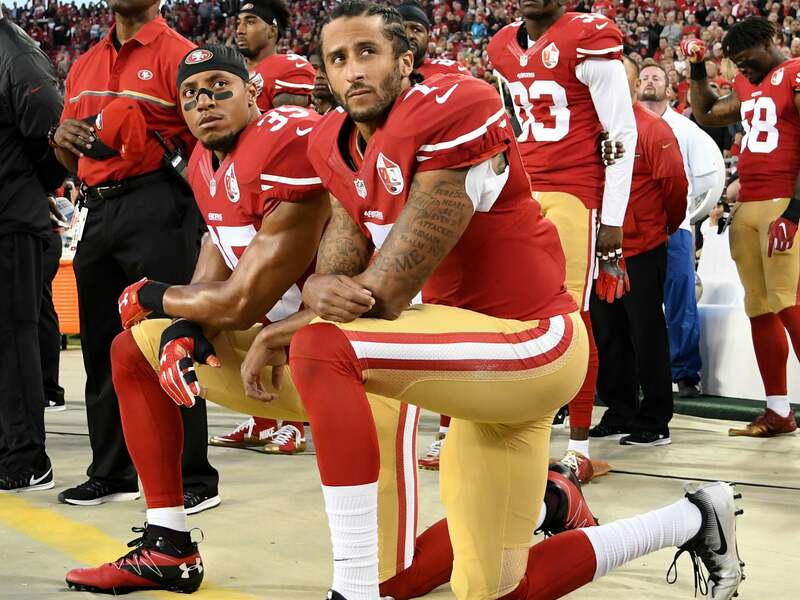 Kaepernick hasn’t played in the NFL since he took a stand (or a knee) on his personal beliefs. He started a protest for police brutality and social inequality by taking a knee during the national anthem prior to the 49ers game. Other players in the NFL soon followed in support. The general public felt as if he was disrespecting his flag and country when doing so and he has now not played in the NFL since 2016. The competition this year for the design contest for the floats was really hard. All of the floats were amazingly done and everyone who was a part of it should be really proud of themselves. Student council for each grade had to choose a movie to decorate their float. All the classes chose great movies this year and they were able to decorate their floats amazingly. It was a very tough competition this year so if you were a part of it be proud even if you didn’t win because your work payed off at the very end. The Freshmen Float theme was West Side Story. The Freshmen didn’t place in the design contest or the spirit contest but they did have a pretty cool float. 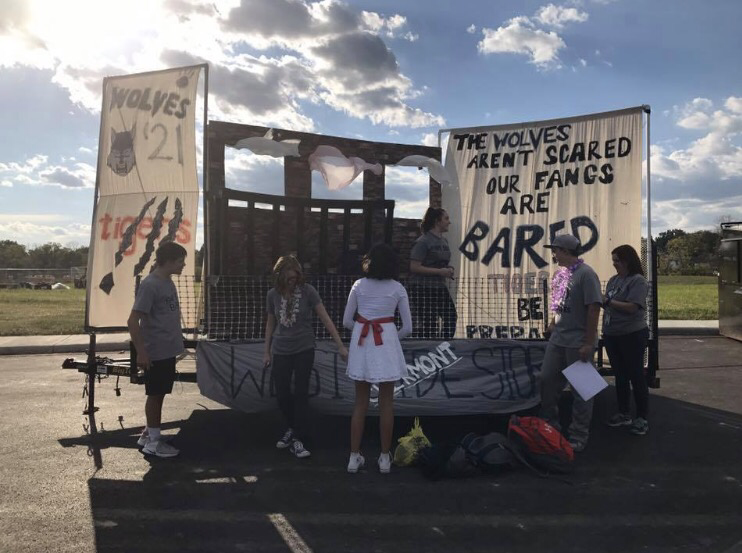 They showed some school spirit too by adding the wolves vs tigers signs for our homecoming football game on the float. Good job Freshman on your float it is really well done. 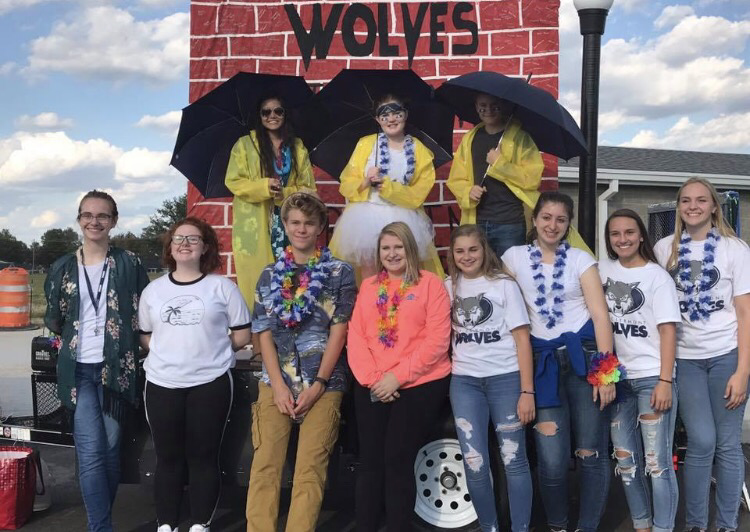 The Sophomore Float theme was Singing in the Rain. This year the Sophomores won the first ever West Clermont float contest. They did not place in the spirit contest but you can’t win everything. The cool thing about their float was that they wrote every sophomores name onto the bricks on the float. Good job Sophomore’s this year on your win. The Juniors Float them was James Bond. They placed second in the spirit contest with a 37%. They didn’t place in the design contest but they did have an amazing float and by the way they placed in the spirit competition it sounds like they had a blast making it. So congrats Junior’s on your second in the spirit contest. 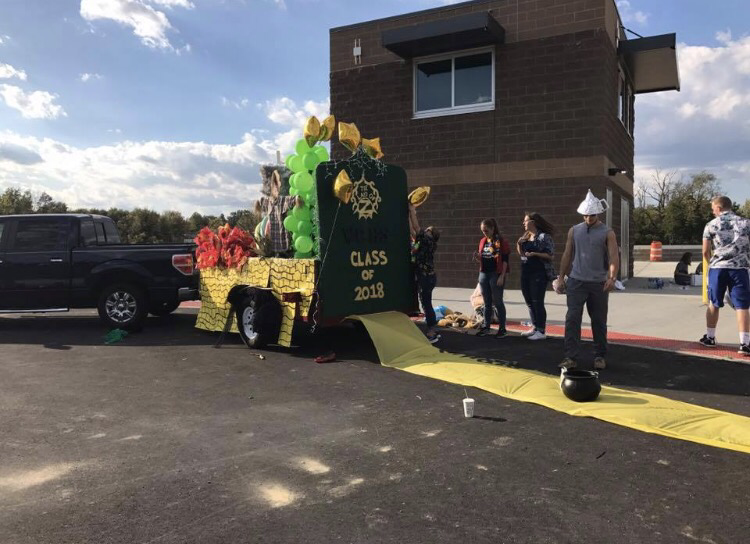 The Senior Float theme was The Wizard of Oz. The Senior’s got a second in the design contest and a first in the spirit contest with a 49%. The Senior’s had an amazing float and were having a great time building the it. The Senior’s are also the only class that placed in both competitions this year so congratulations on that. Congratulations to all student council members for your amazing floats. Sophomore’s good job on your win in the design contest. Junior’s good job for your second in the spirit contest. Senior’s great job with your win in the spirit contest and your second in the design contest. Freshmen better luck next year but you did an amazing job. Lucky for you guys you got another three years. 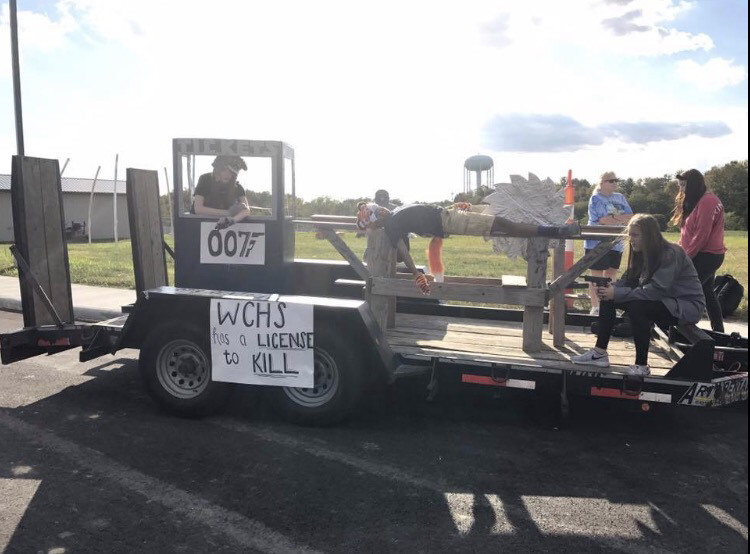 Senior’s good job on your last ever homecoming float in High School. 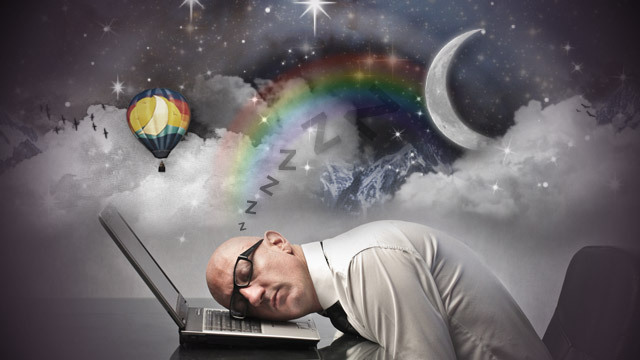 Welcome to the site for all your PACK news. Opening day for us is Thursday, Sept. 20th. We can’t wait to share all the stories, pictures, and video of the great things happening at West Clermont High School. Keep coming back to find pictures and videos of you and your friends this entire school year.